Roots of Empathy: Can Babies Heal Bullies? Can spending time with a baby prevent bullying? One school program, Roots of Empathy, brings babies and their moms into classrooms. And research suggests that participating classrooms show a reduction in bullying and aggressive behavior. Is it really just that simple? What is the exact nature of the Roots of Empathy program, and how can we reproduce these results in our own children’s classrooms? Because even one child bullied, is one child too many. The Roots of Empathy program has local parents volunteering themselves and their babies, coming every few weeks to classrooms, so that children can witness a baby’s vulnerability and development over time. Gordon says she started the program because she wanted to find a way to help children talk about their feelings. “Roots of empathy is a bit of a trick. We use a baby to help children find the vulnerability and humanity in this little baby so that then you can flip it back to their own experiences. 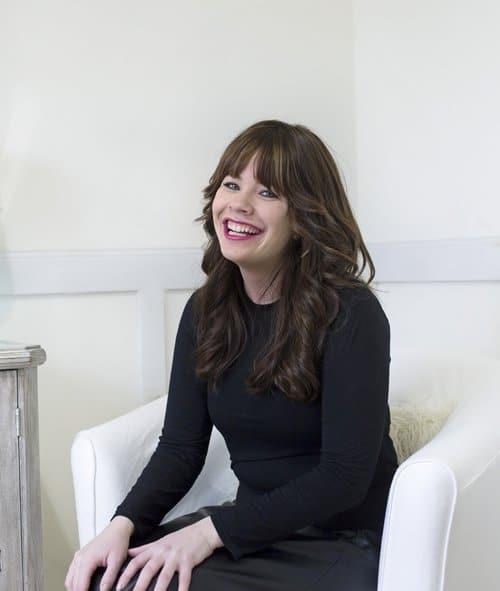 Lisa Bahar, a licensed psychotherapist in Newport Beach, California, explains that the goal of the Roots of Empathy program goal is to realize that “we” are all the same, “in the sense of wanting to belong, to be loved and cared about. This kind of unique vehicle of bringing a baby into the classroom is what I consider a wonderful way to allow children to relate to someone who is nonthreatening, and who can give a young person the awareness of true connection to other human beings. This creates empathy, sympathy and compassion,” says Bahar. But is this really something we need to have in our classrooms? Shouldn’t parents be teaching empathy at home? “If we are educating children who can read well and compute well but can’t relate well, we will have a failed society. Learning how to relate to one another requires empathy. You have to understand how the other fella feels,” says Mary Gordon. Can It Heal A Bully? Can the Roots of Empathy program help turn around a child who is already a bully? Bahar says yes. “Spending time with a baby activates the senses as we observe the eyes, the responses, the touch, and the expressions of the baby. These sensory impressions can be internalized and experienced through the baby. 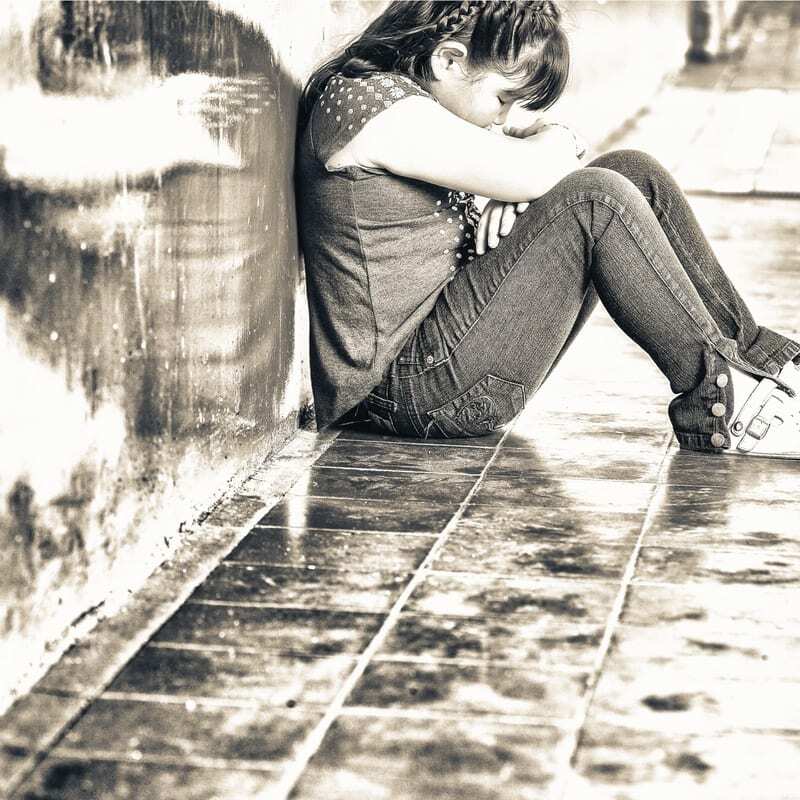 The pathology that exists within the bully will fight to resist the impact of these sensory lessons, the insight will nonetheless be gained, as the child experiences a sense of connection to another living being,” says Bahar. Studies from 2000 onward, confirm that the Roots of Empathy program is effective, reducing bullying and aggression over the course of the school year and over time, in general. Children who take part in the program have an increased sense of positivity about the classroom environment. They feel more of a sense of belonging and acceptance. Students are also more likely to engage in “pro-social” behavior, for instance sharing with and helping their peers, and including them in their activities. Perhaps most important of all, the program appears to reduce fighting among classmates by 50 percent, on average. This is notable, since in general, classroom squabbles tend to increase over the course of the school year. 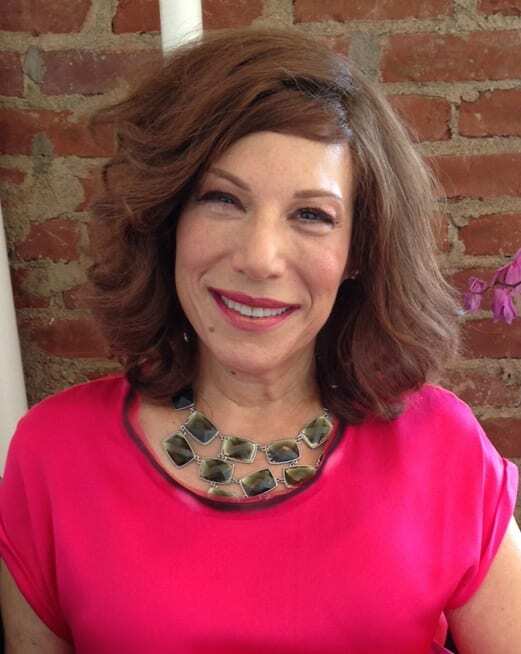 But Dr. Fran Walfish, Beverly Hills family and relationship psychotherapist, author of The Self-Aware Parent, and regular expert child psychologist on The Doctors and CBS TV, says that as a method of targeting bullies, Roots of Empathy misses the mark. “Roots of Empathy is a truly wonderful and beautiful program that by bringing a baby into the classroom teaches school age children about human relatedness, reading/understanding emotions, and human-to-human engagement. However, they missed the mark for targeting prevention of bullying. Clearly, the creators do not fully understand the root cause of all bullies,” says Walfish, who explains, “All bullies carry a secret that they, personally, have been the target of bullying, mistreatment, and mishandling by someone important within their family. That important someone is usually their father or mother, and in less frequent instances, an older sibling. Often, the mistreatment is abusive—emotionally or physically. “The child who is the victim in his own family cannot ‘hold’ or contain the hostility and rage, and thus becomes the bully. He goes to school or out into the world and looks for an easy target. Then, he expels his hostilities onto another innocent victim. It is a vicious cycle,” says Walfish, suggesting that playing with a baby is just not going to cut it, not going to stop that cycle, and is certainly not going to prevent that cycle from occurring in the first place. Clabough suggests that the buddy system is a great way to provide this sort of relationship practice and provides a means to build on the Roots of Empathy program. “Having a buddy in lower grades that kids see once a week is a great way to do this through the school setting, as is providing older mentors (for example, an 8th grader mentoring a 6th grader new to middle school). Our elementary school (Free Union Country School, in the Charlottesville, Virginia area) does a great job with this—every child in grades 2-5 has a smaller buddy in grades PreK-1. The buddy partnerships change each year, and as the children advance through school, they look forward to the time when they can finally be the big buddy,” says Clabough. Author Varda EpsteinPosted on 03/07/2018 03/06/2018 Categories Bullying, Education, Health/Safety, School AgeLeave a comment on Roots of Empathy: Can Babies Heal Bullies? Bullying victim Daniel Fitzpatrick, a thirteen-year-old boy, was in the news last week after taking his own life. Daniel tried and failed to get help but ultimately the system failed him. That’s not what this blog piece is about. This piece is the flipside of that one. This piece is about parenting a bully. A sort of We Need to Talk About Kevin, writ large, complete with advice. That was a book and movie that was compelling because it felt so true (it wasn’t) and because Kevin was truly horrible. We felt for his mother. But we also understood why she stood alone. Bullying stories, you see, tend to feature the victims and their parents. You’ll see the sad victim, read a father’s Facebook post, and somewhere near the end of the story, encounter a photo of the grieving family, minus one member. It make sense. From the writer’s standpoint, at least. It’s what the people want. People are goodhearted. They like to cry, to empathize. And what could possibly drive empathy more than a bullying victim? But the parents of a bully? They too, are deserving of empathy, but somehow, no one really believes that deep down. You always look at a bully and wonder what kind of parent produced that monster. There’s a judgment that somehow it’s GOT to be your fault. It’s pretty hard to get past that knee-jerk reaction. Not to mention, in seeking help for the child who engages in bullying, there’s this feeling of betrayal. You feel you’re trash-talking your own child. All of which makes it difficult for parents of bullies to go and get caring help for the awful problem. That is why you will continue to see stories like Daniel Fitzpatrick’s story and less like this one. Bullying isn’t even close to being past tense. It’s going to keep happening, and as long as it does, there will be other victims, other suicides, to feed public curiosity, the desire to feel and empathize, and yes: cry. But rather than help the parents of the bullies help their children to STOP being bullies, we will continue to focus on the damage to the victims. Yes. They deserve our empathy and compassion. But you can’t help a suicide. An active bully on the other hand. Well, there is something to work with. If that sounds cruel, take a step back and think about it: if you want to stop bullying and make sure there are no more Daniel Fitzpatricks, you need to address the root cause. You need to put a stop to the bully. That begins with recognizing the bully. We think of someone big, with a swagger. Someone stronger than all the others, thus able to command and overpower. But that isn’t necessarily how it works. Anyone can be a bully. Including your (sweet, delicate) child. Even though your first reaction as a parent is denial: Not my child. Know this: helping your child to be healthy and whole begins with looking at the canvas and seeing what you have. Listen to the accusations of bullying and investigate. If true, your child needs help. Your child needs to know you love him no matter what. Your child needs these things to be whole, healthy, and productive. Shoving the matter of bullying under the rug, on the other hand, will not make it go away, but will only make it fester. Taking the matter in hand and owning the truth, is the road to recovery and health, and a better future for all involved (no more Daniel Fitzpatricks). Let’s begin with the profile of the bully. 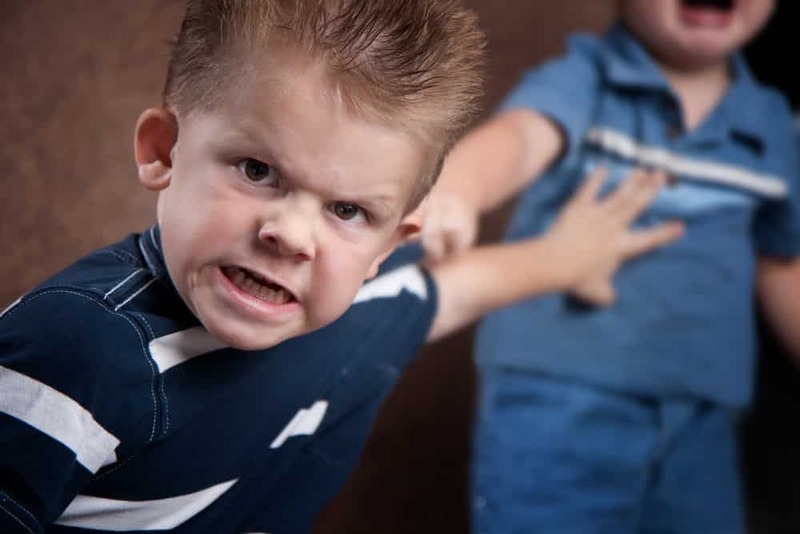 Children who bully are more likely to have experienced academic failure, depression, violence, and crime. The bullying is a reaction to the child’s situation, the environment in which he finds himself. He has a need to gain control over his situation. He does this by dominating a peer. Bullying: How Is It Done? Bullying isn’t about fighting over who gets the plastic shovel in the sandbox. Bullying is about actively seeking to gain control over others, to dominate them. 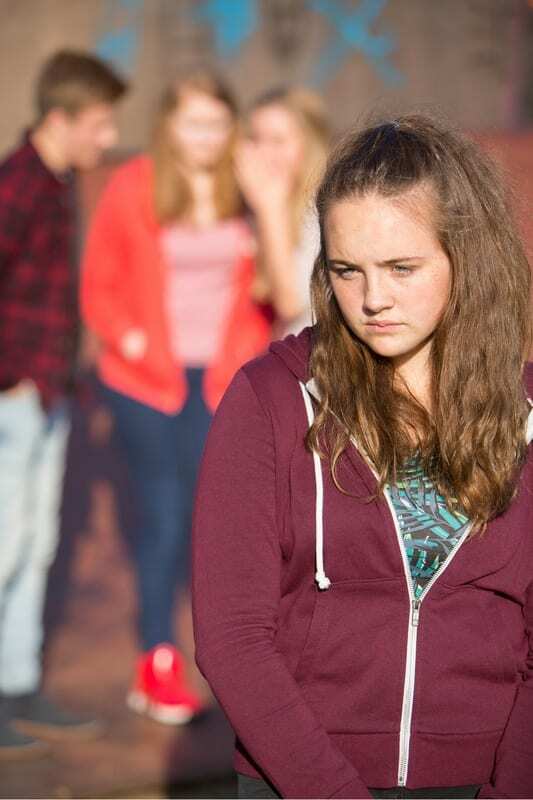 Bullying behavior, whether physical, verbal, emotional, virtual (think email, texts, and social media bullying), or sexual, is about creating an imbalance of power between the bully and the focus of his behavior, the victim. When you discuss bullying with your child, make sure to use appropriate language. Instead of calling a child a “bully” speak of a “child who uses bullying behavior.” This lets the child know that above all, he is a child, your child, with a wide-open future. It is not carved in stone that having once bullied, the child will be and always will be, a bully. Language can help separate the child from the behavior he needs to change. A child who bullies needs to experience meaningful consequences for bullying behavior, and incentives for changing that behavior. Know what is important to your child. Take it away for bullying behavior. Praise him to the skies when he behaves as he should. So let’s say your child exhibits some of the traits of bullying, or parents or school officials have approached you about your child’s behavior, which sounds like bullying. What should you do? For one thing, be assured that bullying is a behavior that is learned. A child can “unlearn” this behavior and replace it with other behaviors: behaviors that are pleasing and good! Explain what bullying is and how it makes people feel (both bully and victim). Tell him about Daniel Fitzpatrick. A child may need to be told which behaviors are appropriate and which are not. Ask your child if there is someone bullying him or if his friends are asking him to bully others. Peer pressure can be a powerful motivator. Determine The Cause: Bullying By Disability Or Intention? Some children with disabilities engage in behavior that looks like bullying. These children may have limited social skills, or they may have behavioral or emotional disorders that cause them to behave in inappropriate ways in social situations. This behavior may be mistaken for bullying by others. 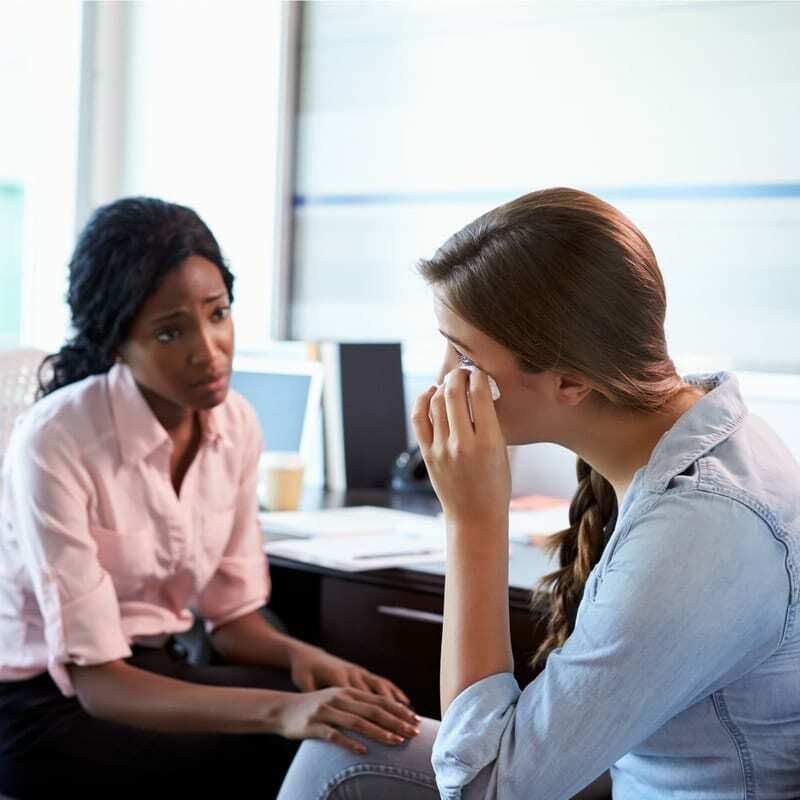 It is important to note that whether the behavior is intentional bullying, or connected to the child’s disability, it must still be addressed. If the child’s behavior is due to a disability, it can be a good idea to include bullying prevention as a goal in the child’s Individualized Education Program (IEP). Bullying can be unlearned and replaced with positive behavior, but it won’t happen easily or overnight. Parents must understand that the road ahead is long and that it will take a lot of work to make real changes. Parent and child must have an ongoing conversation to talk about situations, how they were handled, and how the reaction and behavior can be improved. Feelings will need to be talked about. The situation will need to be assessed and reassessed and goals identified and worked toward. Children who bully others have a problem: they have little awareness of others’ feelings. That is why children who engage in bullying need to be shown active examples of kindness, respect, and compassion for others. Show your child the smile you put on a neighbor’s face when you did a kindness for him. Ask him how he thinks your neighbor felt. Ask your child how he feels when someone insults him or does him a kindness. The idea is to grow your child’s awareness of his own feelings and those of others, too. Explain to your child that everyone has feelings and that feelings are important no matter who experiences them. Your child needs to know that you will not tolerate bullying for any reason at all. Bullying is never okay. Full stop. If you find your child has engaged in bullying behavior take immediate action, for instance, taking away a privilege (example: staying up late to watch a show) or an activity (example: going to a baseball game) that is important to your child. Be firm and don’t go back on your decision or allow yourself to be persuaded to change the consequence, once you’ve laid it out. You are the parent. You are in charge. Tell your child what will happen if he engages in bullying behavior in the future. Be clear about it. Don’t say: “I will take something away from you,” but rather, “I will cancel the delivery of your new laptop,” And then carry through! In addition to showing your child examples of kindness, show your child how to resolve conflicts without fighting or bullying. Show your child how to deal with feelings like anger, frustration, or anxiety. As your child catches on and imitates your behavior, offer praise and rewards. Play games together and show your child that it’s not whether you win or lose, but how you play the game. Show empathy when he loses, encourage him as he wins. Encourage HIM to do the same for you. Engage in role play to practice how to handle various situations with friends. Take turns playing the parts so he can put himself in both bully’s and victim’s places. This can help illustrate for your child what it means to be hurt. Sometimes it will feel like one step forward, and two steps back. Remind yourself that Rome wasn’t built in a day. It will take lots of time and work to make real changes that stick. Try to catch your child in the act of doing good. Then praise him. Remain loving and supportive, even when he fails. He needs you in his corner in order to improve and be the best he can be. Speak to his teachers and get help for yourself if you can, from a support group or a professional. You’ve got a hard road to haul, and there will unfortunately be little understanding for you from others, unless you reach out and speak out, on a regular basis. It doesn’t seem fair or nice to say it, but it’s a victim’s world. The only thing you can do is dig in your heels for the long term and keep on keeping on.